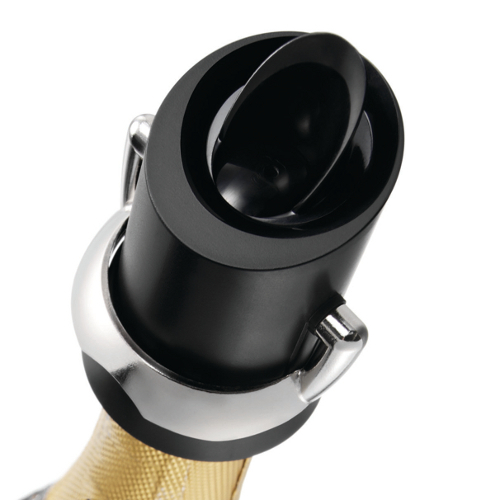 Enjoy the extended life of your Champagne bottles with the Vacu Vin Champagne saver and pourer and never miss a drop again. This innovative design provides a tight seal to minimize oxidation by using a unique re-locking design. Simply place over the neck of your freshly opened bottle and push the lever down to seal in the bubbles. For easy, mess free pouring lift the lever and watch as the clever design prevents drips and returns the excess Champagne back into the bottle. Now enjoying Champagne will be a longer lasting, more pleasurable experience than ever before.